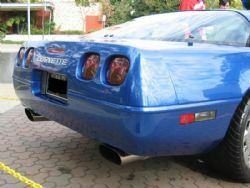 The Australian Corvettes Association was founded in 2005 by a group of like minded people, for the promotion and enjoyment of the marque, without the politics. Our membership enjoys both Australian and international allegiance and includes public forums, chat rooms and ‘Gold Class’ privileges. Provisional club membership is currently free. ‘Quality not quantity’ is the foundation we base our club on! We like to be a bit different from typical clubs and as such, we don’t hold regular meetings that people feel obliged to attend. We were also the very first club to introduce an online ‘e-magazine’ that is accessible to our members via a secure login site. Most of our runs are informal and are very often impromptu weekend or Fri/Sat night cruises (roofs off in summer or winter). The beauty of this club structure is that runs don’t have to be planned ahead, but likewise can be. Destinations are loosely decided upon once we meet up, but this can vary widely; making our time more exciting and spontaneous. We'll usually stop somewhere for a bite to eat and a coffee (or three) & a good old fashioned chat. Of course, many of us also attend other clubs events (not limited to corvette shows) and as well as the big corvette conventions. I can't recall a show where at least some of our members haven't taken out a trophy or two, such is the standard of pride that many of our people have in their 'Vettes'. 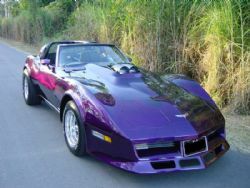 Several of our member's corvettes have been featured in both international and local magazines such as ‘VETTE’ (USA) and ‘STREET MACHINE’ (Australia). 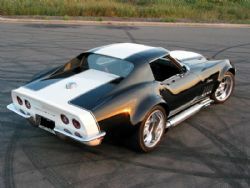 Having said that, there is no minimum level of attainment required to be a club member – we even have people who don't own a Vette, yet admire the marque with a passion and aspire to maybe having a Corvette of their own someday. We can help these people too, as we have a global network of people in the industry that offer substantial discounts on parts to our members, as well as an abundance of highly knowledgeable people who are always happy to advise or help in any way. Our online forum was originally just an afterthought, but it took off and is now one of the largest corvette forums in the world. Users find features of the forum such as our ‘Members Market classifieds’ a very efficient way to buy and sell cars, parts & miscellaneous items. 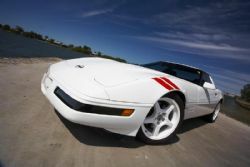 We have technical, general and photographs sections for each Corvette model, but also have an active ‘off topic’ section, a jokes area and a ‘Daily ‘Blog’ area, where when people grow tired of talking cars, they can talk about ‘regular’ things as well. The forum has a definite friendly atmosphere about it and also serves as a platform to get to know each other before applying for club membership. Indeed, many of our members have formed friendships via the forum and have later met up in person. Whether they’re visiting from another state or from another country – they have a kind of an extended family of mates eagerly waiting to welcome them. Of course, not everyone has the time to actively participate in a car club, but with us, you can choose your own pace and you’re still a valued member to us! That’s the kind of club we’ve evolved into. Our exclusive club windscreen stickers (guaranteed for 10 years!) grace the windscreens of not just every state in Australia and New Zealand but abound in many parts of the USA including New York, Texas, Montana, California and Colorado, to name but a few. If this sounds like the kind of group you’d like to be involved with, please visit us at AustralianCorvettes.com & follow the links…We look forward to meeting you!